Sustainable tourism is a mindset for us at Mongolia Travel & Tours, it has ever been one of the reasons for the creation of our own travel agency in Mongolia. 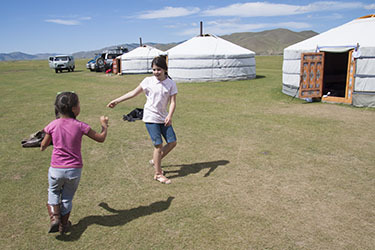 We wanted to better define our partnership with the nomadic families who welcome you, and who have become friends. Direct compensation for services provided by these families (renting horses, guiding excursions, providing accommodation and meals during your stay...) is of course central to this partnership, and we ensure that it is as fair as possible. The creation of Mongolia Travel & Tours has achieved an increase of 40% of the compensation of nomadic families we work with. 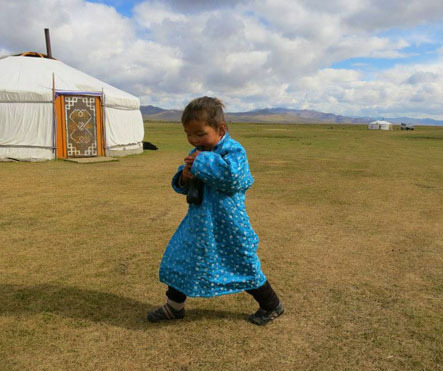 in accordance with the traditional lifestyle of the nomads of Mongolia. For nomads, the impact of winter conditions is essential: a very cold winter (a "dzud") will decimate herds that provide the basis of everyday life and make the lives of nomads, especially young children who are not yet at school, very difficult. 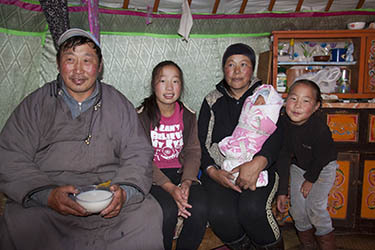 In case of a dzud, hundreds of nomadic families loose everything, and have no other choice than leaving the steppe and go to Ulaanbaatar where they find a very poor life, with no job and no opportunity to find an affordable accommodation. That's the end of a millennial nomadic lifestyle. This is an unpredictable external factor that we can help them to overcome by providing extra revenue from their touristic activities. Beyond the revenue we - and you - provide to them, your hosts are very proud to see that you travel thousands of miles just to visit them, to see how they live their nomadic breeders life in the steppe. Through their cellular phones, they have access to TV and internet, and their traditional way of life may appear to some of them as old fashioned. Lots of young nomads only dream of living in Ulaanbaatar, and here again it is the end of a millennial nomadic story. Instead of being ashamed of living in the countryside, our nomadic families are proud again of their long history. All our hikes, horse rides and tours are organized in Mongolia with the desire of mutual respect, which is the basis of a real meeting and a true exchange. At Mongolia Travel & Tours, no fancy "fairtrade and sustainable tourism" label, we prefer effective action!